Synopsis (Goodreads): Stolen as a child from her large and loving family, and on the run with her mom for more than ten years, Callie has only the barest idea of what normal life might be like. She’s never had a home, never gone to school, and has gotten most of her meals from laundromat vending machines. Her dreams are haunted by memories she’d like to forget completely. 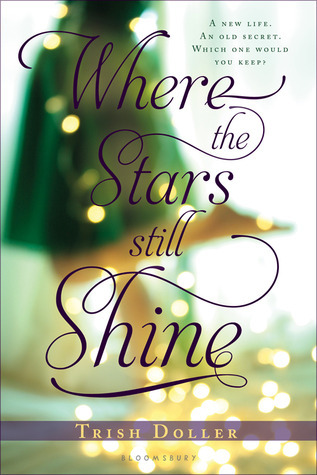 But when Callie’s mom is finally arrested for kidnapping her, and Callie’s real dad whisks her back to what would have been her life, in a small town in Florida, Callie must find a way to leave the past behind. She must learn to be part of a family. And she must believe that love–even with someone who seems an improbable choice–is more than just a possibility. This is a story of loyalty and love. When Callie returns to her childhood home after years on the run with her mother, she struggles to navigate the unfamiliar terrain of loving, supporting family. After years of interactions with boys that make her feel empty and used, she doesn’t know what to made of a boy who makes her feel cherished and wants to give her pleasure, especially when her family would disapprove of the match. Callie’s story is unusual and her dynamic with her parents was not typical, but I think that many readers will still relate to this story. Callie’s situation only intensified the issues many teens relate to with regards to their parents. Even if they don’t kidnap them and keep them out of school for the majority of their childhood, many parents are neglectful, especially due to mental illness. Callie struggles to maintain and respect her father’s rules because she’s used to having complete freedom to come and go as she pleases, just like lots of teens struggle with the degree of independence they have as they approach adulthood. I really appreciated how Doller managed to take these unique circumstances and portray them in a way that felt so universal to the teenage experience. Callie’s struggles to protect her mom and stay loyal to her and doesn’t quite know how to let her father know that she does understand that he loves her and wants what’s best for her. She isn’t sure if she should get involved in Alex’s family issues even though she thinks the issue is important because she knows it will upset him. I really connected with Callie, even though she is not always likable. She often makes insensitive comments and doesn’t mince her words. Doller managed to realistically portray a character who was both naive and street-smart, which is no simple task. Alex is a charmer. I’m not usually one to develop crushes on boys in books…but then again, he’s in his early twenties so it felt less creepy when I did. He was a believable, fully formed character, with just enough mystery to be intriguing. And as much as I liked the protagonist and the love interest, Doller’s secondary characters were equally amazing. I think it’s easy to let all the focus be on the main characters and introduce others just to move the plot along—but Callie’s mom and dad, large extended family, stepmother, and even her younger half-brothers all seemed like real people. They were developed enough to stand on their own and not feel like convenient stock characters. What so impressed me about Doller’s writing was how in the moment I felt while reading. Each scene is perfectly contained and advances the plot, allowing the reader to be completely immersed in the story. The prose has the hallmark of all good writing—it seems effortless. Doller manages to captures so much emotion without slowing down the story. I was completely swept away in the narrative. This was definitely a “read in one sitting” book for me. I love stories that have a sense of place. Some writers have a special talent for making a setting seem real and are able to bring the place to life in the mind of a reader with just words, and Doller certainly possesses this talent. This Florida ocean town with its vibrant Greek community, the docks and the tourist shop and Callie’s dad’s house and the new one he’s building, Alex’s boat and even the Airstream Callie lives in seemed so real, the details seamlessly integrated into the story. The setting is unique and the perfect backdrop to Callie’s struggles with her identity after being suddenly thrust into this large extended family after relying on no one but herself and having no one but her mother to keep her company for over 10 years. The Greek culture felt authentic and added great flavor to this story. Doller beautifully captured small town life and sponge diver community. I so wanted to be totally in love with this one, but I’m someone who needs to connect with the main character and I never clicked with Callie and that definitely held me back from really “getting” the book, you know? I do agree with most of what you said though, it’s a good book and Doller’s writing is just so impressive, she’s a must-read author for me. Yeah, characters can make or break a book for me, too. Sometimes they hit too close to home and I can’t deal, others I just can’t inhabit their mind. Doller’s writing is great, I can’t believe I’ve had SOMETHING LIKE NORMAL sitting on my shelf for a year. I need to read it. I love the sound of this, and the cover is so beautiful…it reminds me of Christmas! There is a Christmas scene at the end of the book — this is a cover I totally 100% support, too!